Boston-based entrepreneur Laurel Taylor has built a company that provides student debt employer benefits solutions. 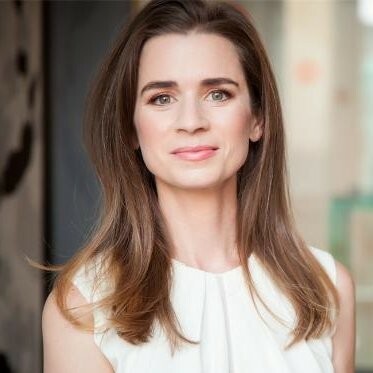 Recently, her company FutureFuel.io announced it raised $11.2 million in Series A financing led by Rethink Impact — which is a female-led venture capital firm that invests in female leaders that are using technology to take on the world’s biggest problems. FutureFuel.io’s goal is to make student debt benefits a standard offering in employer-sponsored benefits plans in order to help crush student debt. To make this happen, FutureFuel.io partners with employers to offer a comprehensive approach for addressing and reducing student debt for today’s multigenerational debt holders. Currently, there are 44 million people in the U.S. with $1.5 trillion in student loans. This funding round also included participation from Breton Capital, First Data, G9 Ventures, The Impact Engine, Reach Capital, Salesforce Ventures, SixThirty, and Vulcan Capital. Including this round, the company raised a total of $15.7 million. And in conjunction with this round, Rethink Impact founder and managing partner Jenny Abramson is joining the board along with former BNY Mellon Vice Chairman Jim Palermo. The FutureFuel.io Student Debt FinHealth Platform also enables employers to recruit and retain top talent, increase diversity, capture additional productivity through decreased stress, and shorten the length of user debt loan by an average of three to five years. Prior to launching FutureFuel, Taylor worked Head of Industry for Google’s Health division and the Large-Customer division for the Global Sales Organization at Google. And she also worked as the chief revenue officer and EVP at TEECOM and the Vice President of Sales at Systems Integration Companies. 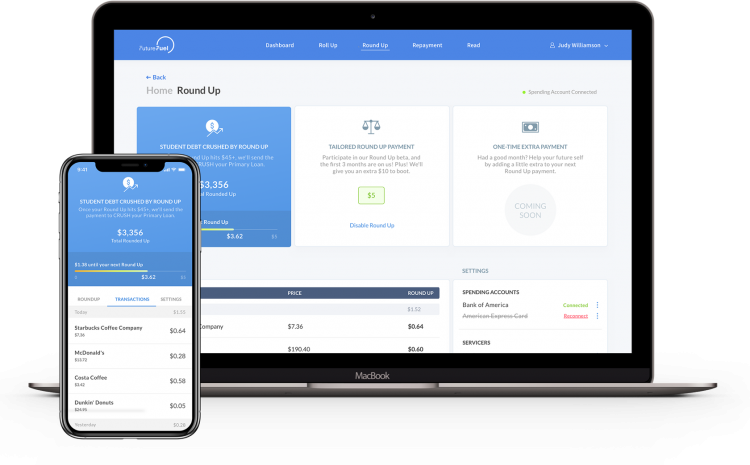 FutureFuel.io has seen some strong initial traction as it is offering its Student Debt FinHealth platform to employers ranging from small and medium businesses to Fortune 500 customers along with channel partners operating within the life insurance, payroll, and credit union industries. Colonial Life, Student Choice Credit Union, and Ultimate Software are also tapping into FutureFuel.io’s platform to the employers they serve and reaches several million users. Scott Peters — who is a U.S. Congressman at the House of Representatives known for sponsoring The Employer Participation in Repayment Act — pointed out that the cost of college was much lower when he was at that level and he benefited from student loans. “Today, young Americans are so crippled by college debt they can’t invest in a home, start a family, or save for retirement. The Employer Participation in Repayment Act allows employers to contribute tax-free dollars to help their employees pay down this debt,” added Rep. Peters. FutureFuel’s implementation of student debt-centric benefits is easy. There is zero payroll integration required and it can be launched and live within an hour. There are six modular offerings including repayment (employers can offer contributions directly to help student loans through unused vacation days and bonuses); round up (sweeps space change to the user’s highest-interest-rate student loan); refinancing marketplace (curates multiple lenders on a single platform who compete to refinance the loans of users); roll up (aggregates a user’s four to seven student loans in one place to ease the understanding and management); recalibrate (provides employee access to a dynamic calculator that projects total debt, dollars, and days saved through FutureFuel.io’s “snackable actions” like refinancing, receiving employer-sponsored repayment, and leveraging round-up); and read (offers sophisticated content via the student loan financial literacy and education platform).